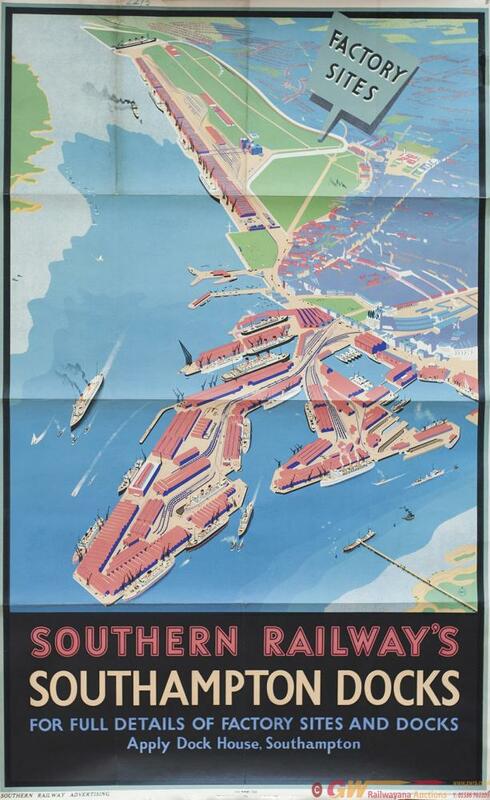 Poster SR SOUTHAMPTON DOCKS by DILLY. Double Royal 25in x 40in. In good condition with folds and a small repair in the right hand margin.